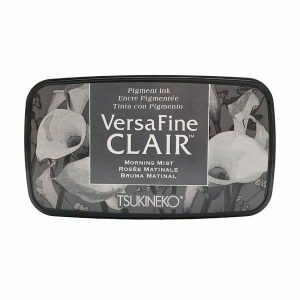 Morning Mist (gray) ink pad by VersaFine Clair. 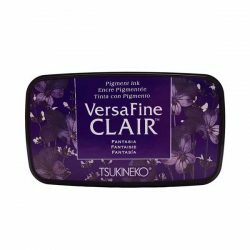 The VersaFine Clair pigment ink pad brings out the finest details. 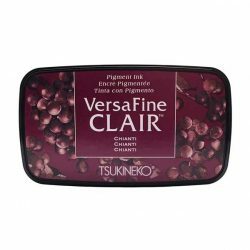 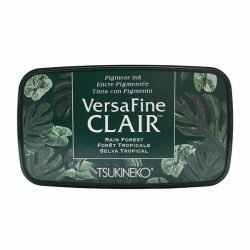 VersaFine Clair is a quick-drying pigment ink that provides impeccable solid surface-area coverage as well as capturing fine details on stamps. VersaFine Clair’s innovative formulation provides the perfect image to use with watercolor paints or water-based markers.